Hungering for a European sports sedan like an Audi A4, BMW 3 Series or Mercedes-Benz C-Class, but can't quite justify the expense? 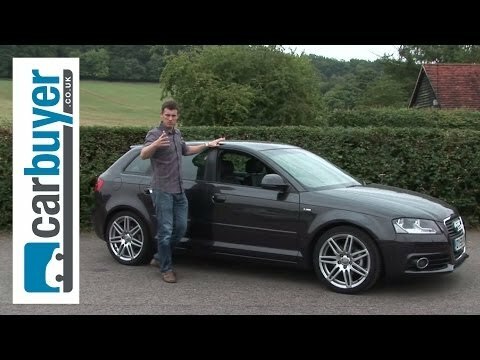 If so, the 2008 Audi A3's taut handling, sophisticated design and hatchback versatility, at a price lower than those worthy machines, could make this car a keeper. I would say the most important thing other should notice is the condition. I do not have any problems with hit most of the time. Its comfortable reliable, it gets me where I need to be. It is decent on gas as well and I have had it for a while. It is really fun to drive and is very efficient as well. I like the way it drives and handles. It looks good and is unique on the roadways. The cost of maintenance and repairs is crazy high. It's a great car and has many standard luxury features. It runs well. Not too many issues. Love the hatchback and openness of the car.